We conducted an in-depth discussion on the precise services such as pension industry consultation, project docking and resource integration, which laid the foundation for the joint development and common development in 2018. 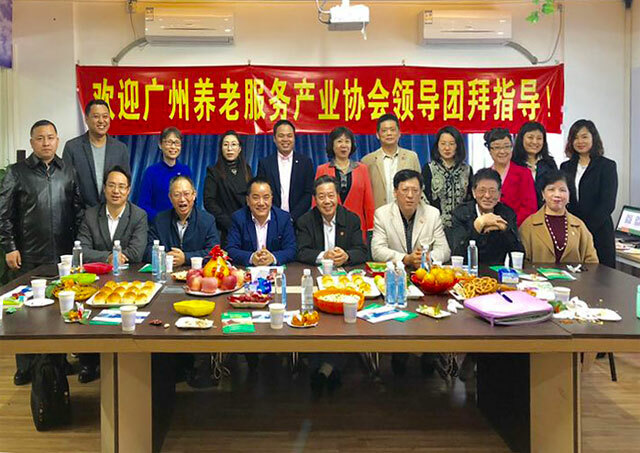 February 25, 2018 Year of the Dog Year of the Dog Year of the Dragon Chinese New Year 10, Guangdong Ksourcing Exhibition Co., Ltd. started the first day of the Guangzhou Pension Services Association Chief Advisor, Wu Yunhua, director of the Expert Committee, President Chen Wenguang, secretary and secretary general Zhu Yi, former professor and consultant of Guangdong University Pan Jiahao and his assistant Wang Ting, vice chairman Cheng Tianwen, Hu Xin, Yan Jiayuan, Leng Luyou, Chu Hongwei, Wang Zhe, Lin Jianming, Lin Lina, Wang Kunhua, Sun Jinzhi, Secretary of Guangdong Shaoguan Chamber of Commerce Long Ho Choi Yin, Vice President of Guangdong Chamber of Commerce in Shaanxi Province Hui-Hua Hui and his entourage came to Guangdong Ksourcing Exhibition Co., Ltd. and guided tours. He was warmly received by General Manager Hong Wenchao and Vice President Zheng Fu. 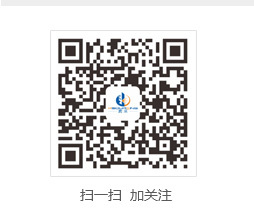 Guangdong Ksourcing Exhibition Co., Ltd. as the vice president of the Association unit is the Association of New Year worship activities one of the reception units. While enjoying the good news of all the good news, we talked about the prospect of the pension industry. 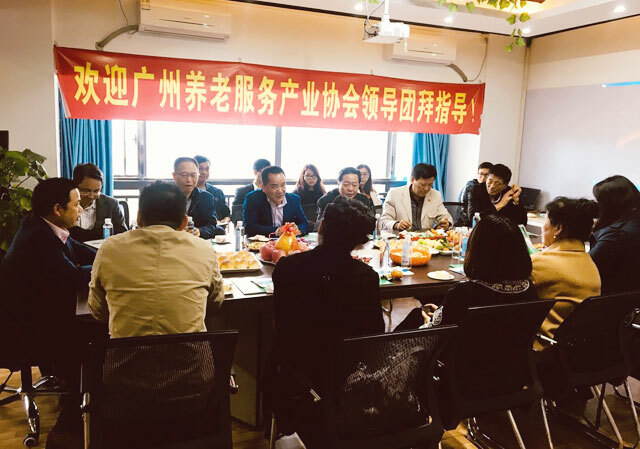 Hong Wenchao, general manager of the Association and his party and his party reported in 2017 the company in Guangzhou, Xiaogan, Luoyang, the three successful hosting of the Expo and the company's plan for the development of the old Expo. 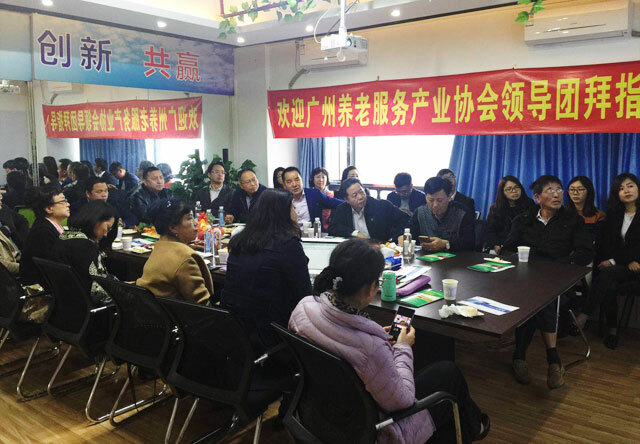 Afterwards, we conducted an in-depth discussion on the precise services such as consulting for the aged industry, project docking and resource integration, laying a foundation for the joint development and common development in 2018. 下一页：[Red envelopes fly] Guangdong Ksourcing started!